2.05 acres available on the corner of Tileston and E Irlo Bronson in rapidly growing east St Cloud.This area is experiencing tremendous growth with over 7,000 homes in various stages of development in the immediate area. Come join the growing list of national users heading to East St. Cloud, including Dollar Tree, Dunkin Donuts, Ace Hardware, Taco Bell, Heartland Dental and more. This location is ideal for light industrial, retail and both sit down and fast food restaurants. Call now before its gone! 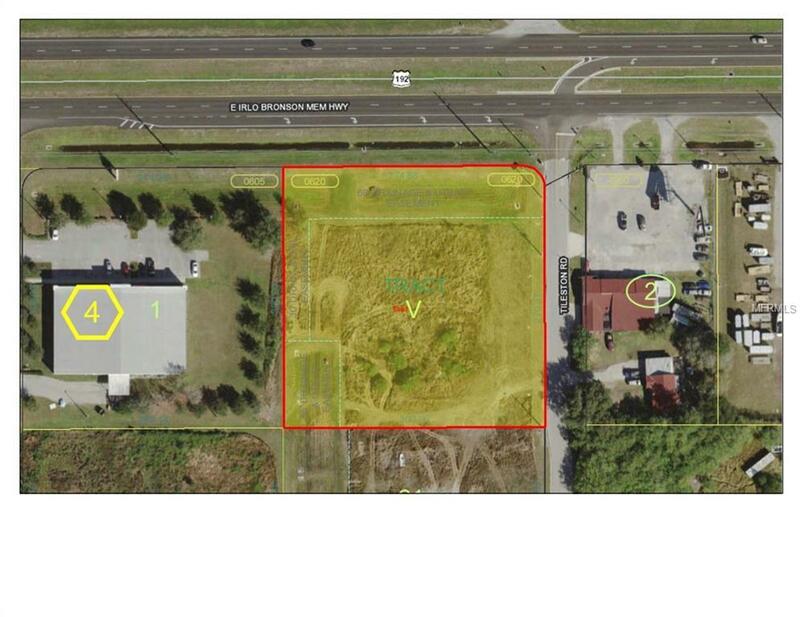 An additional 1-13.5 acres is also available on the corner of Murcott Rd. and 192 just to the east starting at $799k.